The cobble-stoned streets of Georgetown are a constant reminder of our glorious streetcar history and its untimely demise at the hands of Big Auto and Big Oil. 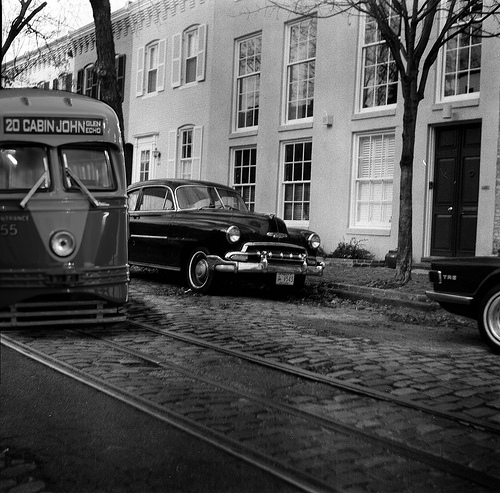 Now there are SUVs and BMWs rumbling over the streetcar rail lines along P Street instead of the electric trolley. 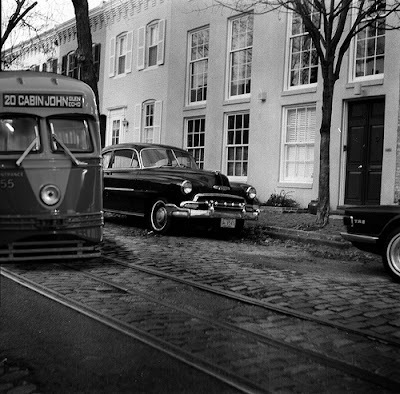 But this all might be changing because Georgetown is part of D.C.'s master plan to construct 37 miles of streetcar lines in the city. 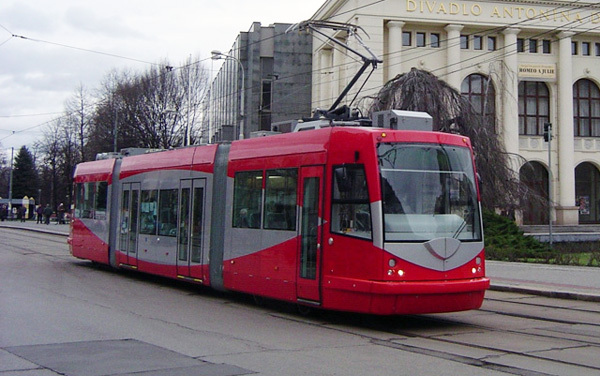 That means in the next five to seven years people will be able to ride a modern, efficient streetcar in Georgetown again. 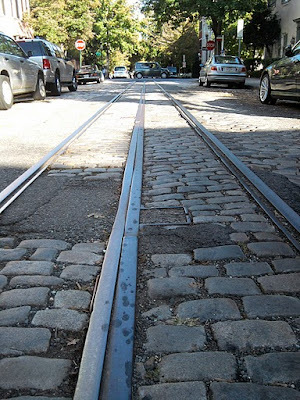 Below are pictures of the old Georgetown streetcar, what the tracks looks like today, and what the new streetcars will look like.